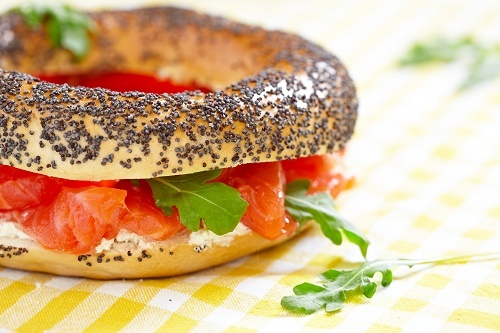 A classic brunch recipe, this bagel will be a big hit. Toast the bagels. Spread each half with cream cheese and top with smoked salmon. Sprinkle with capers and serve.